The Little Mermaid on Broadway Backstage. Ariel and her Aunt Ursula have a fun moment and dance.. HD Wallpaper and background images in the Disney Princess club. 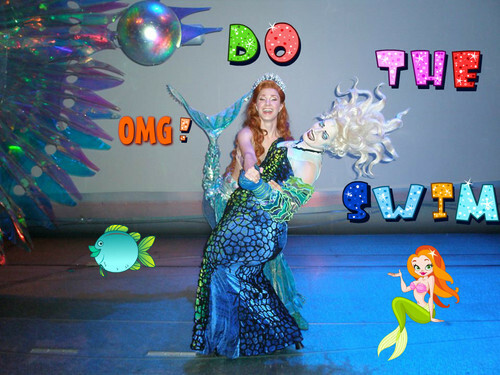 Ariel and her Aunt Ursula have a fun moment and dance.